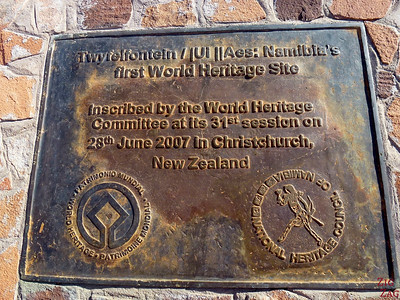 Twyfelfontein is a Unesco Heritage Site in Namibia. 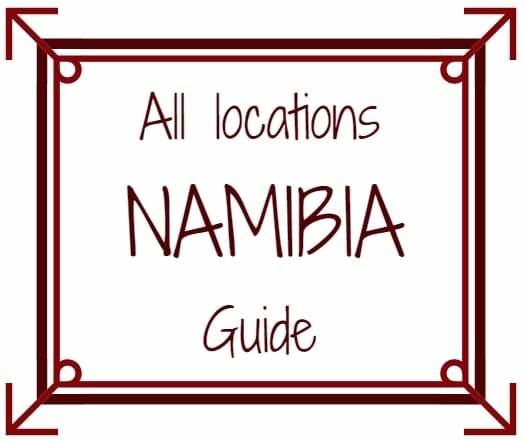 This is where you can discover 6000 year old engravings representing the incredible Namibian landscapes and abundant wildlife: girafes, rhino, seals… they are all on the rocks! 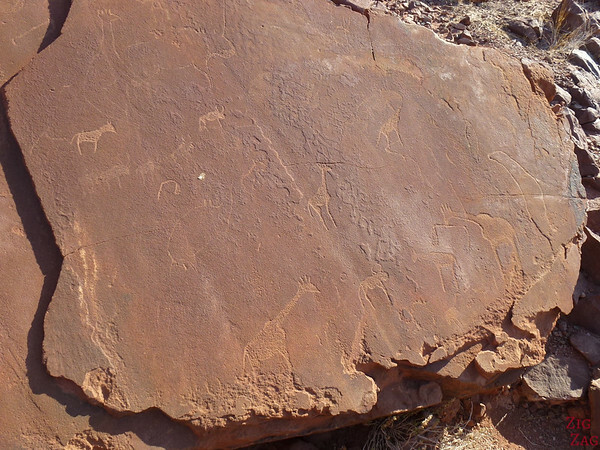 Twyfelfontein is a small rocky site including remarkable engravings (pteroglyphs) depicting a wild animals: rhino, elephant, giraffe, oryx, ostrich and more - and footprints. 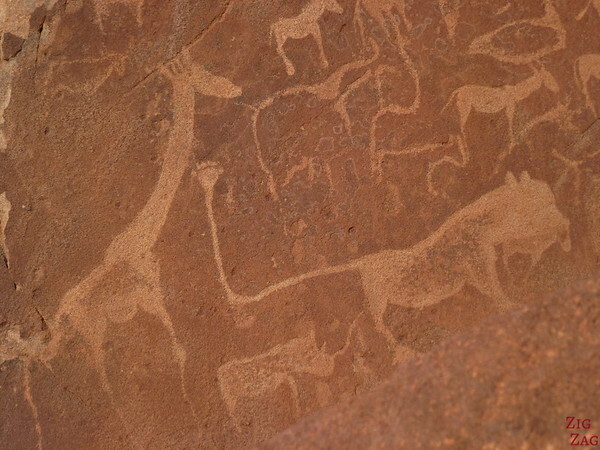 The engravings are often superimposed on one another, and are engraved on the massive rock faces of free-standing boulders in completely exposed positions. 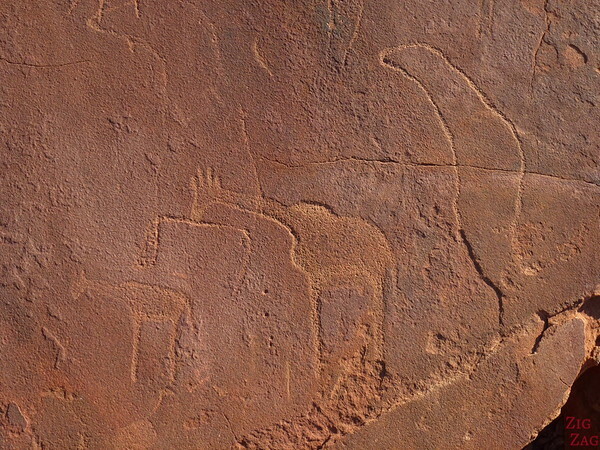 It is believed that those engravings were created over a period of 2,000 years by local hunter-gatherer peoples to pass on knowledge or as part of a ritual. 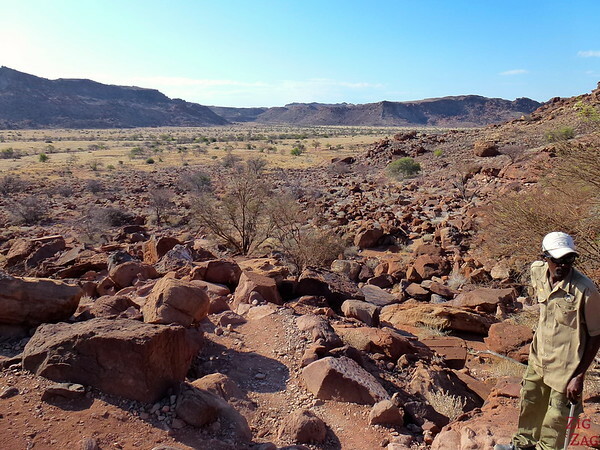 Twyfelfontein is a very remote place in a semi-arid area North West of Windhoek. 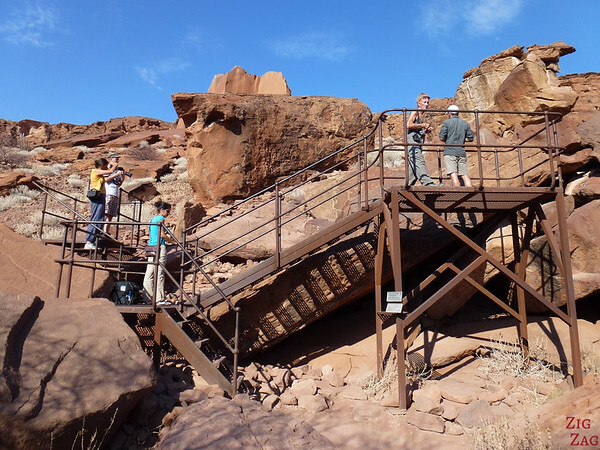 Even without the engravings the site of Twyfelfontein is a stunning place to go for a walk. 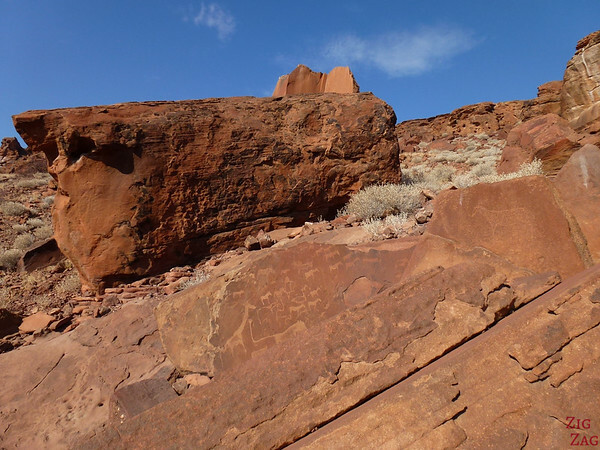 I love the colors and different shapes of the rocks. 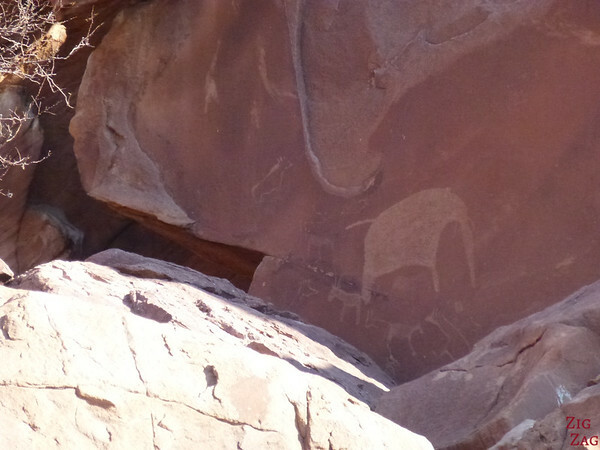 The paths were quite well maintained and we could clearly see all the drawings. Are you able to draw animals?